Are You Finally Ready To Get a Business Online? We will BUILD Your online business for you using a 20-year old tested, proven and current blueprint that has never once failed. How long are you going to wait, think about it or hang around waiting for the perfect opportunity to have your own online business? We will build your business for you and more … READ HOW below. And I have been doing this for almost 20-years without fanfare and ego! When people ask me how I can spend a five month summer in Tbilisi … that is part of the answer above. Having a business like this allows me the freedom from a single income and a location to work from. If you have a good idea for an online business, that idea is worth pursuing and has a traffic demand online but … It’s an idea you’ve never had time to put together you will love this. We will put the whole thing together using proven, tested strategies and principles I have been using in one of my own online businesses since 1999 and those principles despite the changes and tweaks and never once failed me. We will build everything for you - EVERYTHING. Once we have built and created initial sales for you we will hand it over to you. I will mentor and train you to use and treat as a real business. Then we hand back to you an up and running business and I will train you to make sure you know exactly what you need to do. All you need to have is your idea that I will help you with. NOTE: This does NOT include things like creating or sourcing your products - I can help and advise or we can even do that at an extra cost to be quoted. In uncertain times I need certainty, you need certainty. My model for success online has never failed me - not once. I started this project in 1999. It has gone through many changes as can be seen on www.WayBackMachine.org online since then. Today it is one of the most certain business I have and grows annually. This year we saw more growth and success than ever before. This allowed me to take a 5-month break in Tbilisi. I have ignored almost every fad, trend and ‘new thing’ on this site. If I had followed them the site would have closed years ago. Sale of my manuals, paperbacks, eBooks, future bookings and more still came into my email everyday. Online you have two options. Play around and pretend your an expert or get an expert to do it for you. NOT the kind of expert that has flooded the web but an expert that can deliver the proof of longevity and success. … I got paid £1,995 for a two hour talk to staff in a hairdressing salon in Cheshire, England. Here’s just four niche industry books I wrote and designed that have been selling well online for years! This little business has continually made me more in a month that some can earn in a year! YES I have to work at it, yes I have to do things like any business but my own reality is I spend around one hour a week on it. The only other time I spend more is when I am creating a new book or product. 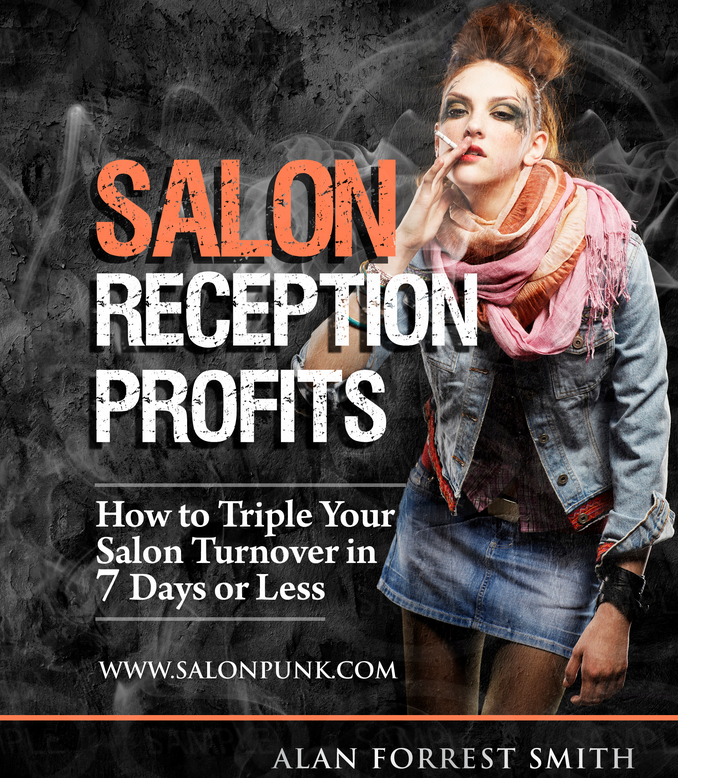 Just two weeks ago I released yet another new book called - The Salon Punk - and it has been selling daily since then. I am just about to launch a brand new program here I have been working on whilst in Tbilisi and it will be the very best yet. Now I’m really not tell you any of this to show off I am just sharing with you something i don’t really talk that much about. That and my other businesses have given me a very nice life. A life where I work the hours and days I want and gives me the freedom to spend 5-months abroad at any given time. It’s important to share with you I don’t spend time making my money telling people like you how to make money online. I actually have real businesses online that make money and that take work. If you want me to share how I do that with you … that’s what I can do. Right now, I have JUST ONE PLACE for someone very smart that wants to create a new kind of life using the web. I will show you everything you need to know during 12-weeks of working together as long as you listen to me and do as I tell you. 12-weeks mentoring and then 12-weeks support. During this time you have 24/7 access to me over your preferred communications and one face-to-face visit if you feel you need it. There is a Real Truth About Creating a Lasting Income That Is 100% Online? What you are about to read is probably the exact opposite to what you read online or from self proclaimed internet gurus. 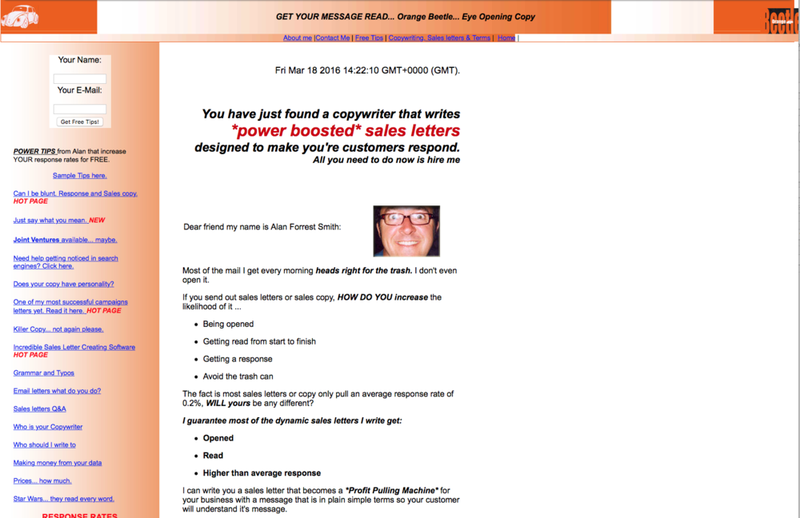 I've also intentionally toned everything down so as not to get you wrapped up in the practice of copywriting hype. This is all real, all true and has changed my life. This is what really works. 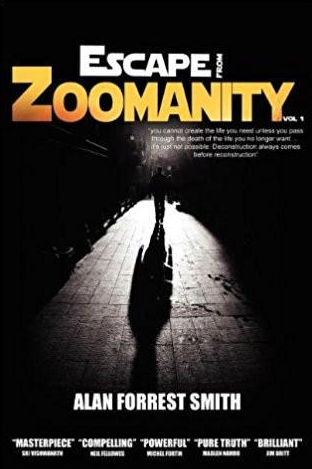 What you are about to read is also the ONLY way I have brought income into my life since 1999 (and before). 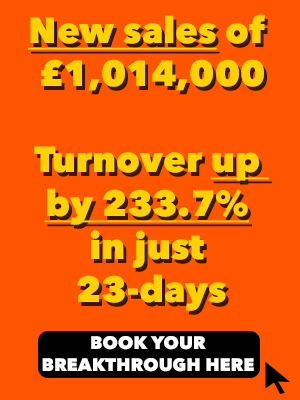 … (and I mean hundreds of thousands of pounds ) I've earned since since early 2001 has come 100% through the web. I don't sell junk, get-rich-quick, another internet marketing product, social media expertise, Wordpress expertise, affiliate programs, traffic rushes or any other shockingly bad product designed only to make the seller rich and it's buyer more confused than ever. The reality of what I have seen online is that almost everything internet marketing gurus tell you about making money online will destroy almost all of your chances and opportunities for making money online. I'm more than happy to share with you everything I have been doing since 2003 that has delivered me literally hundreds of thousands of pounds. This is the first time ever I will reveal everything I know about working online. In fact this is the very first and maybe only time I will ever teach on how to get online 100% and run a business on the go. Writing to you from Tbilisi. I never wanted to do this as I am happy in the background but frankly for years I've heard many many stories of people and clients being ripped off by internet marketing gurus and 'new experts.' I thought I will put it out there for some smart individual like yourself. So this is the truth of what works, how it works online and how you can create a real multiple income source using the web. This is very powerful stuff so read very carefully before you make any decisions or offer an opinion. Don't forget everything you read I've been doing since around 1999. This is what really works and is totally fraud free! How to Build a 100% Real Online Business That Will Give You What You Actually Need to Build a Real Lifestyle Ethically and Honestly. Let me give you some of my own internet background. In 1996 I started to hear about the internet and doing business online. 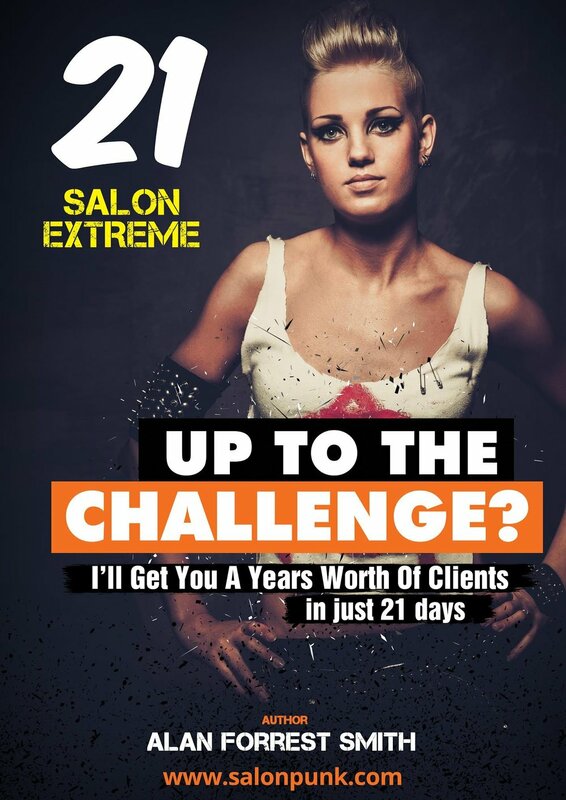 I was interested and I thought about it as a possible marketing tool for my salon business. I did thousands of direct mail in those days so this seemed like a good option to send email. The problem I had was no one coming through my salons had an email address then so it was slow. So that same year I built my first website using Microsoft Front Page with a tech guy I knew called Andrew who had a lot of teeth missing! 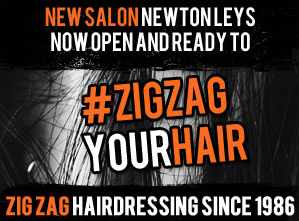 My first ever website for my salon. By 1997 I had a crazy and slightly obsessive idea that I could create a new life from the web selling stuff or services or something. I wasn't sure but I thought I could use it somehow maybe to even mail salon products. The problem I had then was mailing them cost more than the actual bottle of hair product. The first thing I sold was a Nintendo computer game and then another and another. Now that wasn't going to change my life because I was making really good money from my three hairdressing salons. However it taught me that I could actually sell things online and maybe create a business from it. I actually wanted out of the salon business due to a very painful disc and back problem so this felt like good idea. I felt after 17 years owning a salon and solving all the salon problems that were thrown at me I could become a salon consultant. Now it took me around 18-months to sell the very first thing from that website but I had to learn everything myself so it was slow. I was building a house and had 4 new kids at the time and of course my three salons. Every minute of everyday was busy. 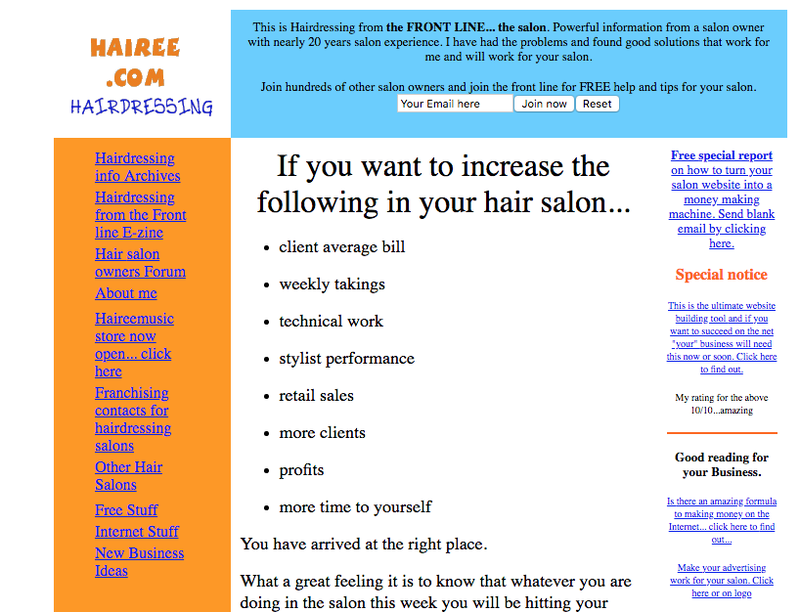 By 2002 I was seen as a real expert in my the salon industry because of my website. I was also selling between 10-15 ebooks everyday at around $197 each. I was also offered a column in a national magazine and also flown over to the USSR to share my expertise to over 1000 hair and beauty salon business owners. I was also invited to Japan and many other places whilst being chased by the mighty Wella for a project and other large corporations. In 2006 I travelled over to Australia to speak and train around 500 salon owners. By 2006 most of my income was coming from the web. Hardly a single penny was coming from any offline projects. I had traveled the world on several occasions, been invited to wine and dine with the rich and famous on many occasions and had acclaim and recognition. Today, not much has changed as far as my income goes. Most of my income still comes from the internet. All my my sales, my leads, my connections and as good as 100% of my business I still get from the web before anywhere else. I work very loose and freely. I have a state-of-the-art Apple Mac these days. I have a MacbookPro I use only for video. I have an iPad I use off and on but I have my number one business tool with me at all times. This is my iPhone which I update every two years. Today, I still run with an iPhone plus because I like the big screen. I don’t have an office although. I also travel a lot as we have a home in Tbilisi Georgia. I don't even have an office there I simply go the a cafe and spend an hour or two or three on my iPhone. I need flexible and I like flexible. The web gives me just that. Now what you should know is a little bit of truth. It’s the kind of truth dreamers and schemers never like to hear and it is this. I have been using the internet since 1996. I created my income full-time online since 2003. I have to do some kind of work most days of the week to make sure my online business performs at a top level everyday. when I say a top level I mean hundreds of thousands in sales and the freedom that goes with it. Anyone that tells you they do nothing and get paid truck loads of cash for doing nothing are liars. I did meet a guy that was doing around £500k per year online selling Ads. All he had to do was to get people to click on the Ad. He then sent them to the sales page that had been set up by the company. As that was going on he bought a new house, new car both on loans. Finally, the company he was sending his traffic to got black listed by Google. They eventually vanished. So did his house and his car. I heard from him a while ago from his rented apartment after divorce. You have to treat the web like an extension to the office. It has to be treated the same. When the phone or fax or other communications arrived they were simply treated like another part of the office, another marketing tool. For some reason there are those that love to promote the mystery of the web and the illusion that it can only be masted by masters. That simply isn't true but it does take work. Yes I said WORK! So the real secret that isn't really a secret is getting online is like opening a shop. The critical elements are the very same. All you need to do is open multiple Facebook or YouTube accounts. That's a ridiculous and unworkable lie that is sold to those that want a better life but end up in debt after purchase. Owing a million shovels gives no one the ability to dig a bigger hole does it? Now one or two of those things as part of a bigger machine can work but on their own they will be short lived or simply be a no go! There is a huge company that has appeared online recently. I was asked by a client to look through his £10k purchase. He felt he was going to become rich following the system. It worked like this. A lower or free product pulls the new buyer in. Once inside the website they can access tons of video education and links that will make them rich. Some of the videos require more payment. Most of the links inside this site are banned by Google and YouTube. I was asked to look at it to formulate a traffic strategy for my client as he couldn't get it going. It turns out this now huge website's links and urls have been banned by just about every huge website online like YouTube, Google and most others despite the fact they tell you to use YouTube and Google. So the tools although being sold as life changing were actually nothing more than bank-sucking losses for the buyer of that product. 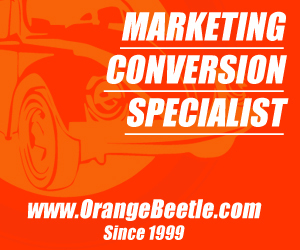 This really isn't unusual in the internet marketing industry. Only when you treat the web like a real business can you become part of the one hundred percent online business! Opening social media accounts or training to become a social media guru isn't a business online. How about for the first time EVER you spend 12-weeks with me and I will show you exactly what I do and have done do you can set up your new business online? I guarantee this will have nothing to do with how to get rich, how to sell internet traffic, affiliates or any other short lived garbage. This is a genuine business that gives you the security of a genuine business. And if you know me - there will be tons more! This is a 20-years tested model of success. What I will show you is exactly what I do myself - no myth, hype or very elastic sentences designed to bend, expand and twist your mind in ways that stop you from saying no. What I do everyday in my business I will show you. I don't mind revealing all the behind the screens details so you know exactly how to build a business for life. And frankly it's like building a shop, it does take work, effort, time and cash. If you have no interest in working it like a real business this isn't for you. Today my typical work week is like this. Monday, Tuesday and Wednesday I work on OrangeBeetle and SalonPunk. Thursday I tend to be very lazy and a little burnt out although I work on my writings as my goal is to become a full-time author. Friday I write and I might or might not do bits of stuff over the weekend. My work day can vary from one hour a day but on average four hours. I don't drive out anywhere. I have coffee outside twice a day and I also make time for the gym. This year I took five months out to be in Tbilisi, Georgia to carry on some property projects and travel around the country. We are heading back very soon to complete them and possibly buy another property. This month I took two weeks off to finish a new book called Happiness The Five Laws, Deliberate Recreation and my latest The Salon Punk. The point being is my business gives me that freedom. I can’t promise you’ll be rich. I won’t promise you’ll make a killing. But I Will Promise You This. 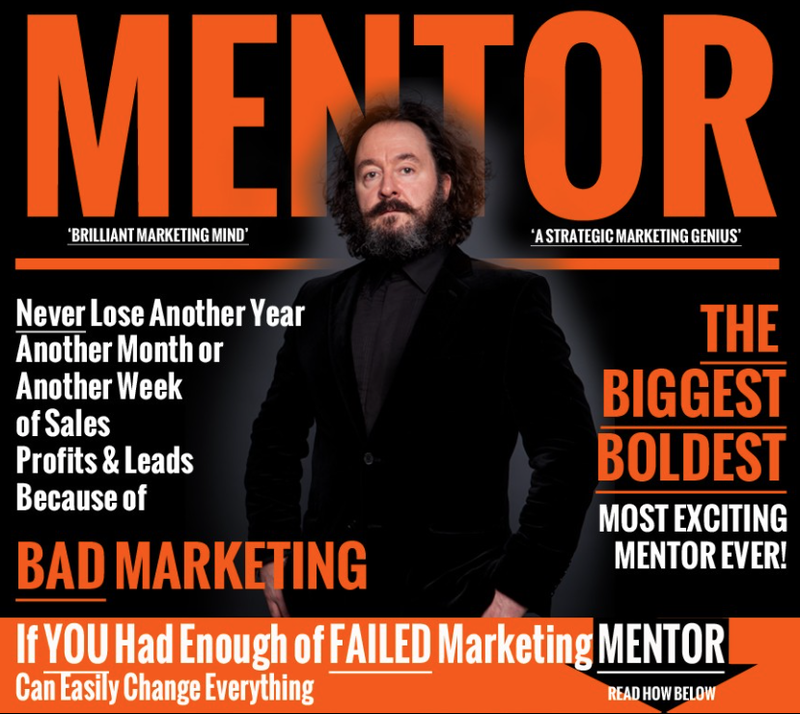 If you want to be mentored by me I will show you everything in every detail step of how I have made hundreds of thousands of pounds over the years using just the web. Now this business opportunity is strictly for you if you want change in your life and you want to work with someone that has really taken his life from the offline world, transferred it online and uses the web daily to create what is really a great life. Lie and Hype free Zone! …when I like and how I like. I have no debt, no credit, no anything that most have. I simply do my own thing. I have everything that creates a happy content life. I gave up on big houses and live now live in Cheshire's golden triangle, Hale, Greater Manchester with my beautiful wife. We have a large penthouse apartment but nothing over flash or pretentious. It is everything we need to enjoy home life and more. I have a large 4x4 that is five years old. I don't throw cash away on things that are worthless when I can enjoy life with my wife and share what i have with others. Life is good. My life is one hundred percent online. No pressures, no stresses, no struggles - it all works really well. I can share all of that with you if you'd like to know how? 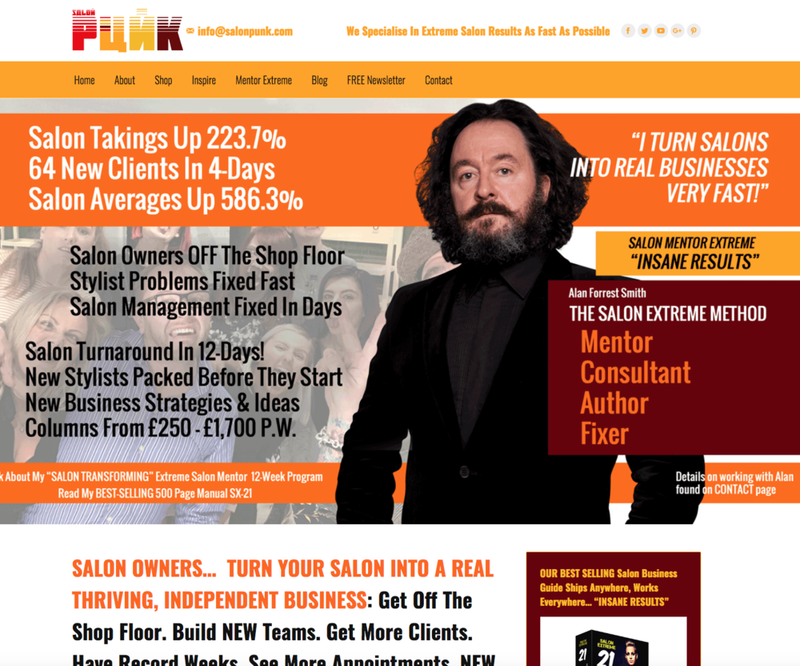 I sell hair salon management online. Why? Because it is what I know. Regardless of what you feel you don't know you DO know a lot. Think about the skills you have from life and think about this that want to share those skills that you have carefully gathered. For example, I created a truly unique way in my own salons to make sure stylists got busy fast. It was so unique that it was and still is seen as impossible. Yet this was a problem in the industry I knew every salon owner had and would love to see solved. I solved that problem, wrote about that problem and made a small killing from that solution. So in the salon business I simply solve the problem they have and sell the solutions. Do you have little secrets about something that you solved and you know others would love to know how to solve them? Anyone can do this. If you have experience, if you are willing to work and put the time in, it's all very, very do-able with the right teacher and guide telling you the truth alongside the fast-track. 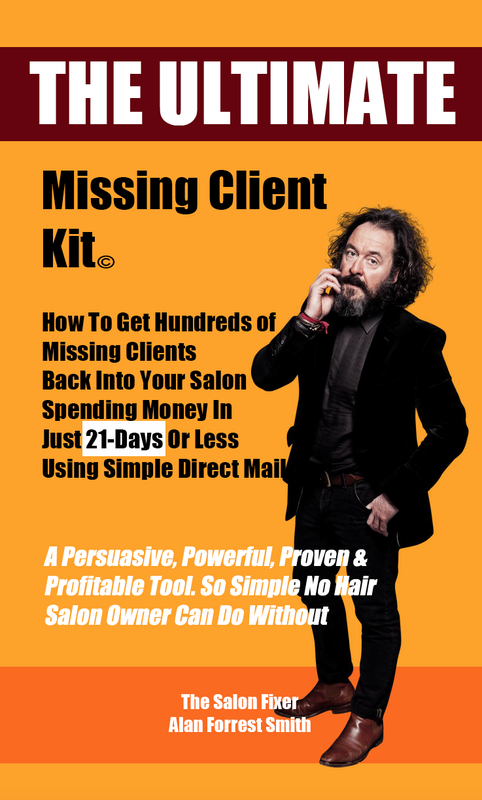 I sell salon solutions only, in real hard copy books at live trade shows and now in live training classes. Every single sale is ONE HUNDRED PERCENT online! And it makes no difference if you have or haven't any experience in this stuff because I will show you what you have to do. And if you cannot do it I will show you who you need to ask to help you get it done. The Truth and Reality of Creating Your New Business One Hundred Percent Online ... Is This For You? Here is who this is best for. Currently I run four online businesses. Those businesses all have multiple ways to generate income streams. You can copy that or take your new business to any level. The web gives you the ability to grow and expand in ways easier than it has ever been before. Yet you might simply want a small extra income of a few hundred each month. It really is a choice for you to take. I will show you exactly how I do everything and don't worry I have almost all of my business mastered from an iPhone never mind computers and huge offices. Don't forget I've been doing this and other cool stuff online since 1996. I’ve seen so many of these gurus come and go you wouldn't believe it. They arrive in a blaze of glory and leave just as quick. Idea burn-out i call it. 17-Years later online and I am still generating my incomes 100% online... And it grows year on year (apart from my divorce period where my first wife tried everything to destroy me) and it diversifies continually. If you are expecting a guru style training please this won't be for you. 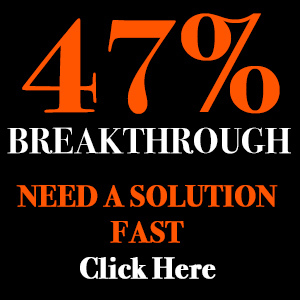 If you are looking for a way to create instant income this isn't for you. This opportunity is for you if you want to know a copy and paste reality from someone that has built a business online since 1996 and full-time since 2003 and still here in 2016… AND … YOU would like everything done for you and then handed back to you when your new business is working. My guarantee never changes because it's built on ethics. I do not offer any refund. You are buying my time and sharing what has kept me alive and happy and given me some wonderful things in life for almost two decades. I promise I will share that with you and more. If you feel I don't reveal everything just let me know and i will go over the details I might miss with you personally. I offer NO money-back guarantee. You might wonder why all the others gurus do then? A money back guarantee increases sales. It also creates a type of person that will go and ask for a refund. The gurus all build in a percentage of refunds into their marketing plan. Since 2005 doing live classes I have never offered a refund and NEVER been asked for a refund despite the hundreds os students I have worked with. This Is Real Business For You But Only If You Want Longevity and Real Lasting results! I get it I understand. Everyone wants to be happy. Even rich and really rich people want to be happy when their excess bring them misery. Life is short and I am sure you down want a life that makes you feel like a slave. You can go and buy a new car for 20-30k that drops massively in value over 3 years. Or go buy a family holiday for 10k that lasts just 14 days. Or a new watch for 5k that gives you that buzz for a day or two while you're showing everyone but ultimately its a watch. Or anything else yet the reality is if nothing has changed with the way you earn your income nothing really changes. You still have to do that rotten stinking drive in the traffic to work. You still have to arrive and leave your office when you are told to arrive and leave and you are still in that trap of repeating the same old life until your life is over. God only knows how many hours a week I used to work in my salons but it was 7-days a week and 24 hours a day thinking about who to keep 16 staff employed. I would leave my home at 7:30 to get through the traffic and get home late. The rest … you know it otherwise you wouldn't be reading thins page. And of course I do not and don't work with Internet Marketing schemes or disguised multi-level marketing schemes. Over the past few decades my clients have been of the highest rate with some being listed on the stock exchange. Even more important for you is this... What you learn are skills that are for life and for creating the best life possible. Is This a Perfect Opportunity With a Life Investment For You To Change Everything? Seriously how long are you willing to keep trying things and hoping and praying for a miracle? How many times can you run after shiny objects hoping they will save you? This is an opportunity like no other I have seen online. It can easily be the start of something new but of course like all things that is a choice. Are you finally ready to let go of all that guru junk and build a REAL and new and real business online where we do all of the hard work for you? I will show you how exactly I have become a 100% online businessman that works from his iPhone anywhere, anytime I want to. And I will show you all the details, everything you need to and should know. Frankly this is a no-brainer. Now I know you'll have a question or two. 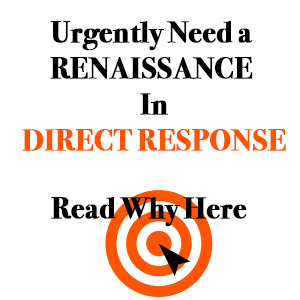 Send me an email with any questions you might have and I will get right back to you. Be quick please and don't miss this one… projects are limited due to time restraints. Let’s finally get you online.